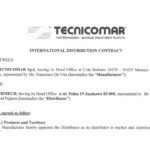 On 7-10 March, Airmech had the pleasure to participate in the training session at the headquarters of the TECNICOMAR company. The training was aimed at raising qualifications, i.e. 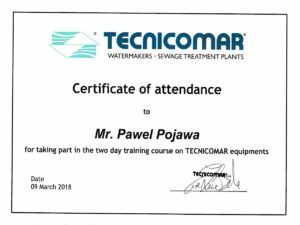 The training resulted in obtaining a certificate thanks to which Airmech became an authorized service point for popular desalters and marine sewage treatment plants.